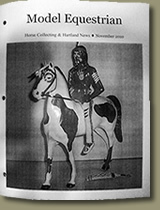 20 Pages (two in color). 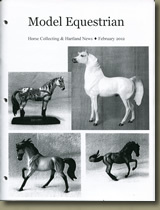 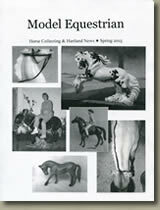 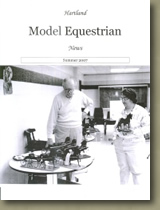 John Henry, Marguerite Henry, and Marney Walerius; model horse history; Hartland news. 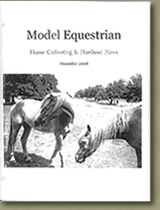 28 pages -- $7.00 ppd. 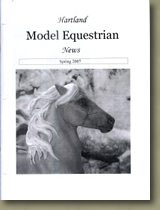 32 pages -- $8.00 ppd. 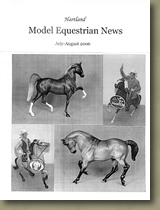 tips, history, gift ideas, etc. 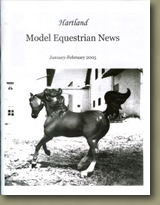 Nutshells of news: horse-related, collecting community, many brands of model horses; book and movie reviews, etc. 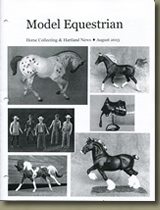 Something for everyone: real-horse news; model horse hobby history, Hartland horse reports; Hartland western and TV / movie fan news, ads, and reviews; and more. 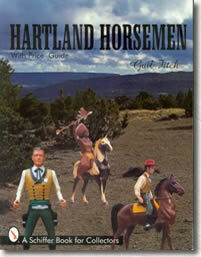 For horse lovers, model horse collectors, Hartland collectors, and TV western fans. 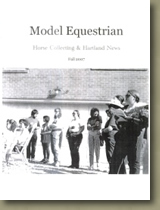 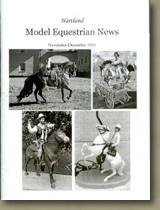 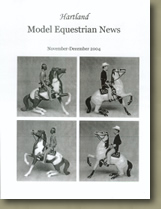 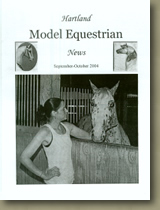 • All issues of HM Equestrian News are stapled like a magazine and are also three-hole punched for easy storage. 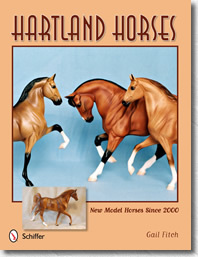 • If paying by mail, you can print the Order Form and use that. 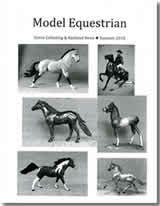 Prices are lower if you pay with a check or money order; prices are a little higher if using PayPal. 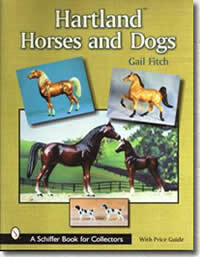 PayPal: gfitch@tds.net -- You can use your charge card at PayPal!